Seems like Telugu superstar Pawan Kalyan's Agnyaathavaasi is all set for a massive opening on the auspicious occasion of Sankranthi/Pongal 2018. Directed by Trivikram Srinivas and produced by S Radhakrishna, the film is said to be the costliest Pawan Kalyan starrer till date. The film stars Anu Emmanuel and Keerthy Suresh in female leads. Though the makers have only released the first look of Agnyaathavaasi, but the film has already created huge buzz worldwide especially in North America. Going by the recent media reports, Pawan Kalyan’s Agnyaathavaasi is all set for a grand release in a record number of 500 screens in North America. Also, it has to be noted that none of the Indian film have managed to touch such number of screens in North America. The Pawan Kalyan starrer is all set to break the 462 screens record set by the SS Rajamouli, Prabhas blockbuster Baahubali 2 as well. Agnathavaasi will also see the third collaboration between Pawan Kalyan - Trivikram Srinivas, after Jalsa and Attarintiki Daredi. 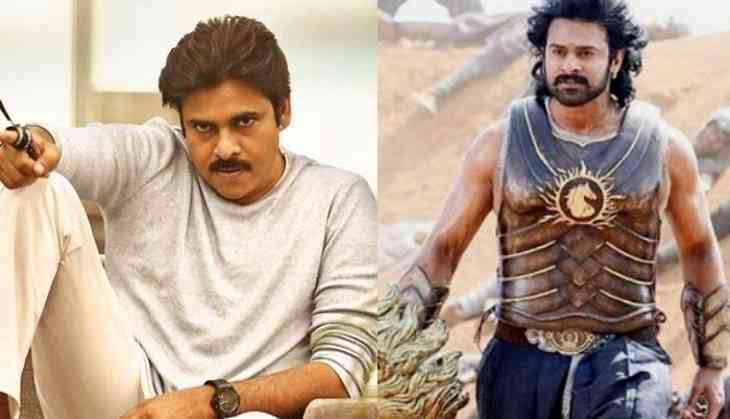 Both the films were said to be the highest Telugu grossers of 2008 and 2013 respectively.